Even if you’re new to web, you’ve probably heard of cookies. No, I am not referring to food recipe or something made from chocolate. It am referring to a particular type of file. A lot of websites send a request to you when browsing their site. The message will appear in your browser saying that you need to allow cookies for best experience. Cookies, which are small files, are then stored on person’s computer. In terms, they also store personal data about you. 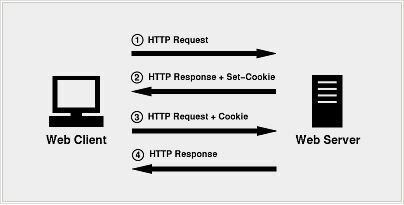 Data within cookies will create a connection between a user and a particular website and can be accessed at any time either by web server or by client’s computer. By using this data a website can create personalized experience. Main reason why sites add cookies in the first place is because they can’t store all this user data in one place as it would overburden their servers. Through cookies, a server is able to instantly access your data on the next visit and continue your daily session as if you never left the site. Read this article to learn more about cookies! As you browse the internet, you will reach a large number of sites. Some of them work by using cookies. However, there are individuals who don’t like the idea of seeing or using them. Luckily, companies that are creating browsers recognize this and allow you to delete or disable cookies. Within each browser you can find a key section for cookies. They fall under Settings > Advanced > Privacy and security > Content settings > Cookies (in Google chrome for example). Here you can set various things most notably allowing or disabling cookies as well as deleting them. Please be careful though as some sites cannot work without them. For example, if you don’t allow free access to a web shop, you won’t be able to purchase items through it. What is cookie size? What’s the main issue with cookies? There are a lot of good reasons why people don’t like cookies. Some of them are able to save your personal data such as email address, account number or passwords. This is a big issue for personal privacy and can lead to total exposure of data on the Internet. Another top priority are third-party cookies. They are commonly used by advertisers who are able to access your data as you search through some other website. Data can also be used to track user behavior and main shopping habits. There were cases where sites allowed more than 100 third-party websites to access their cookie data. Maximum number of third-party sites that were using data from a single site was 800 in one situation. When people mention cookies size, this doesn’t refer to size values per file but the total size of all files present on your computer. Size of cookies can create problems for you and I’m not talking about memory usage. As I already said, cookies are always a potential threat. Simply put, the more you have them, the bigger the risk. In other words, when you see a large amount of cookies (size) this can potentially mean you’re in danger. No matter what you think about cookies, they are something that can pose a threat and serve to your advantage. When allowing cookies, make sure to allow them on reputable sites when there is no chance for your privacy to be endangered. Do you allow cookies? Do you pay attention to your cookies size? Share your thoughts in the comments and make sure to add us on Facebook!